Stop raining, stop raining, stop raining! Out here in Vancouver, we keep having these glimmers of hope tossed at us by Mother Nature wherein we are given a couple of beautiful sunny days that remind us once again why we choose to live here. Then that dreamy warm weather is cruelly yanked away from us and the temperature drops 10 degrees and the clouds unleash hell. 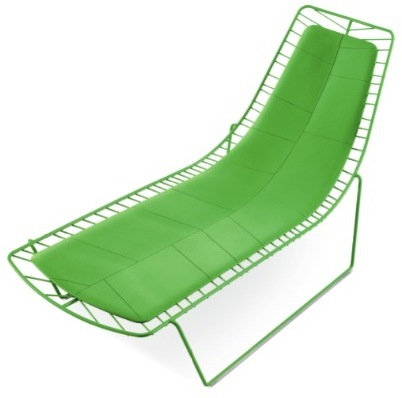 Dramatic, we know but in those moments of warmth we start planning for the upcoming patio weather and we found a great lounger that keeps a nice organic feel with slim space-saving lines. Available here.